Ever since C was able to understand us, we have spoken to him about staying safe near the road. Once we ditched the buggy, we used a toddler harness and reins. I know a lot of people see them as treating little ones like dogs but we don't drive and walk everywhere so I would be terrified that he would run off and something would happen. He would get so excited to push the button at the pelican crossing, wait for the red man to "go downstairs and change to green" then cross safely. He knows that even though the green man has appeared, he stills needs to look both ways in case any cars are still driving. Now that he's four, he is much more independent so (mostly when we are near our house) I let him walk on ahead a little bit if we aren't near a busy road. He automatically stops at the edge of every pavement and waits for myself and his daddy to catch up. When next to him, we reinforce the "stop, look and listen" rule but to be honest, I think it's something that we need to work on as he does it a little half-heartedly so I'm not sure he's really taking his surroundings in. Luckily, he does always wait so we can teach him more about the importance. 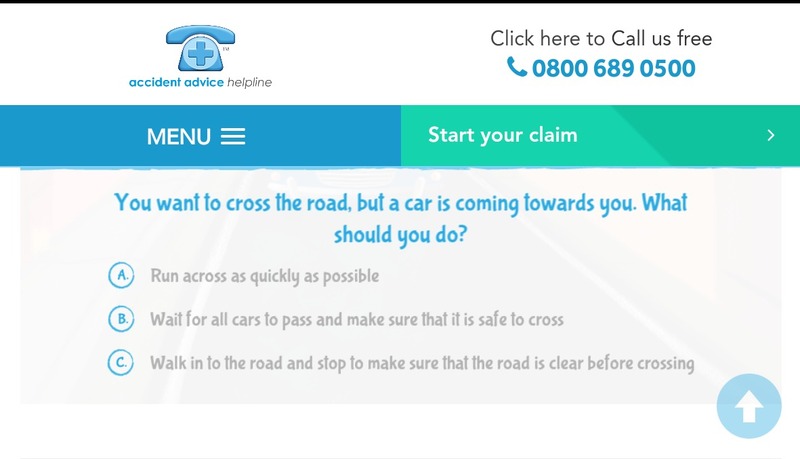 Accident Advice Helpline have recently created a really fun online game to help teach children about road safety. I've been showing it to C and letting him have a little play around with it. The game follows a little boy who is on a journey and meets a few different road related obstacles and you have to answer the question that is related. There are eight in total and each is a multiple choice question. You even get a little certificate at the end - tons of fun! 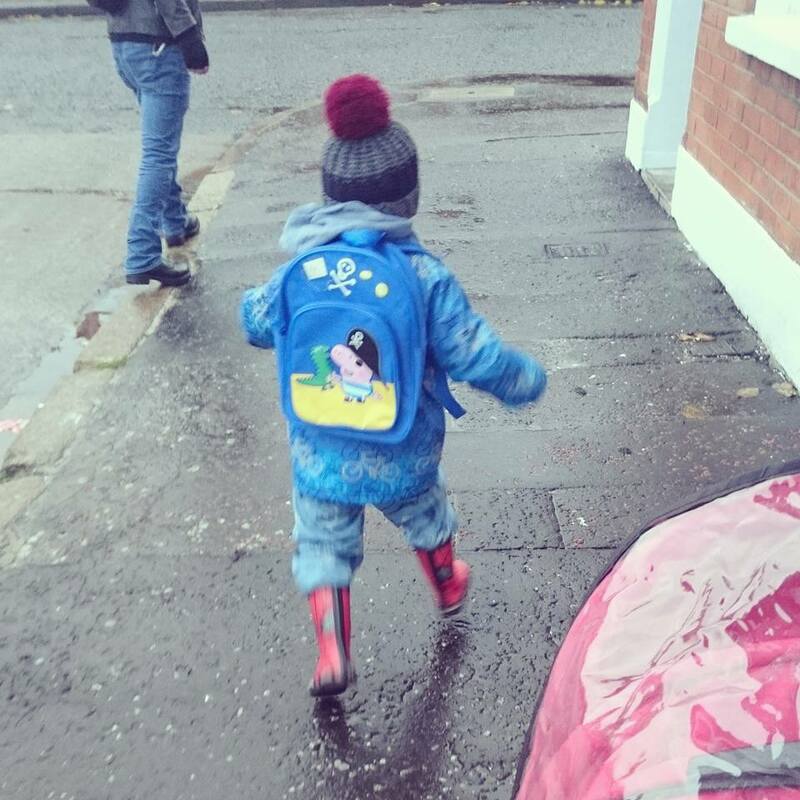 How early did you/will you start talking to your children about road safety?